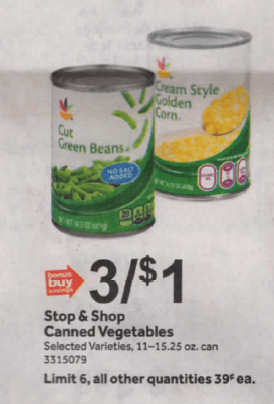 Stop & Shop Brand Canned Veggies Only $0.33 at Stop & Shop! 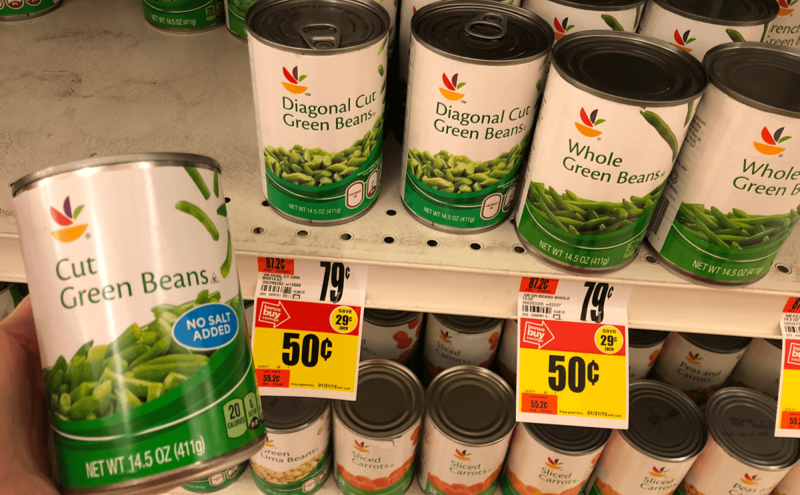 Through 11/15 Stop & Shop has it’s own brand of canned vegetables on sale for 3/$1.00 – Limit 6. 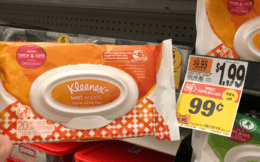 All other quantities will be $0.39 each. There are no coupons available for this deal. 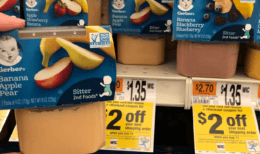 The deal is limited to 6 cans per transaction – so stock up!